As you leave office, how do you describe the current state of EU and Malawi-relations? The relations between EU and Malawi are changing. The programmes we are supporting are focused on accelerating growth, creating jobs and supporting vulnerable Malawians. For examples, in agriculture, we have just started the 100 million euro Kulima programme which targets 400 000 farming families to help them work better with technologies so that they can produce more yields and work in a more commercial manner and uplift themselves out of poverty. At the same time, we are investing in skills of people. We are investing huge sums of money in technical and community colleges. We are investing more to keep girls longer in schools. We are also working in the field of governance. We support school feeding and social cash transfer programmes, and the justice sector, which is facing a number of challenges. How has the change from direct budget support to development support worked out? There are two important aspects. First, the programmes that we have now—although outside government—still support government priorities so we are supporting government programmes. Kulima is a government programme for the agriculture only that we don’t channel money through the budget. That said, we still want to return to budget support. Budget support remains an important modality but we can only do that when the circumstances are right. We have agreed with government on a roadmap back to budget support. We have agreed a number of benchmarks that have to be met before we start discussing budget support. Let me also commend government that important improvements have been made when it comes to public financial management, they have made a quite a bit of progress. Secondly, there are still challenges with public finance, for instance, the main area where we want improvement; it’s not by chance that when you open newspapers you see a string of controversial procurements often connected to corruption. If government is able to start doing procurement in a transparent and predictable manner, macroeconomic stability must continue, then we can start talking about budget support. But if they don’t improve on procurement, we won’t return to budget support. The EU has just clocked 40 years of working in the country, is Malawi making any progress? I think the country is making progress although there is not enough progress. I have always said, what Malawi needs above everything else is more private sector investment. Government and development partners don’t generate jobs or economic growth. The enabling environment to make Malawi attractive to investors is probably number one priority. As development partners we can help develop capacity, improve the infrastructure, access to water, power supply—as we are doing with the Malawi-Mozambique Interconnection project. We can help with technical assistance, with access to credit, but the bottom line is that Malawi needs private sector investment and in order to do so, government has to work on the policy environment. Malawi is not an island in the world. Malawi is a country competing for investment in the world. So there is more that needs to be done for Malawi to improve the enabling environment for doing business. What is your assessment on the fight against corruption? I think it is more and more realised, not just in Malawi but also elsewhere that corruption is real. If corruption is not controlled, there is not going to be meaningful development. It is not just one element that you can easily take out. It is a comprehensive challenge that needs a comprehensive response. The best way is preventing corruption. Improve public finance management, tighten procurement processes, and improve accountability and access to information. Often, when I say something about corruption as the EU or other development partners, its big news and you see headlines in the newspaper. It seems as if we are just focusing on corruption. I think that is not the case. We also have to understand where we are coming from. 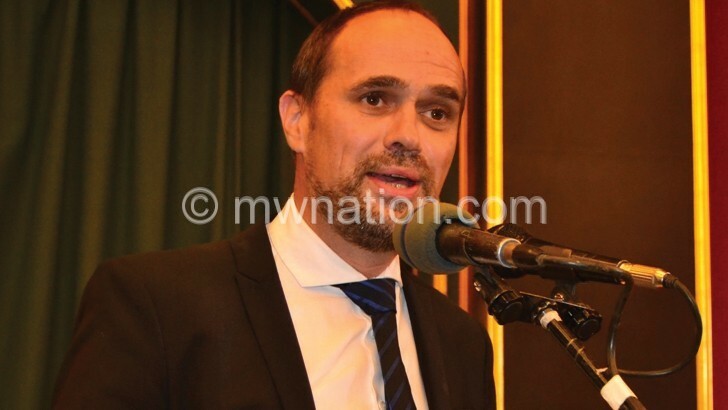 As EU we are investing maybe a 100 to 150 million euros a year in Malawi. And this is a huge investment. We want to continue helping Malawi to reach her development goals. Hence, we also want to assure the taxpayer [in the EU] that the government we are supporting can use it’s own resources efficiently. So for us to sustain this kind of high level investment in Malawi, we will continue to speak out on corruption. You are leaving amid the huge corruption scandal at Police, what has been the EU reaction to this development? I think I have made my views very clear, these are serious findings. It is now up to the Anti-Corruption Bureau [ACB] to investigate these issues further and we hope there will be no interference in the way it does its investigations and it can do that fully and independently. 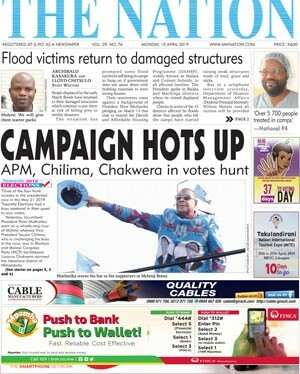 Lastly, Malawi goes to the polls next year. How do you assess the country’s electoral preparedness? Let me emphasises that Malawi has a good track record of organising credible elections and smooth transfer of power. But when it comes to the legal reforms, progress has not been impressive. Overall, I am optimistic.